On October 5, 2011, the news of the death of technology innovator Steve Jobs rocked the world. The failing health of the Apple cofounder and Pixar CEO was no secret. Jobs had given up his role as Apple's CEO just a few months prior because of his struggle with pancreatic cancer. But his death still drew a huge reaction. From Apple employees and fans to political and business leaders, people honored Jobs's passing by reflecting on his prolific life that greatly influenced the way technology is used. In 1976, Jobs founded Apple Computer with Steve Wozniak. As the leaders of Apple, they developed concepts—such as navigating by using a mouse to click screen icons—that shaped the way we use and interact with computers. 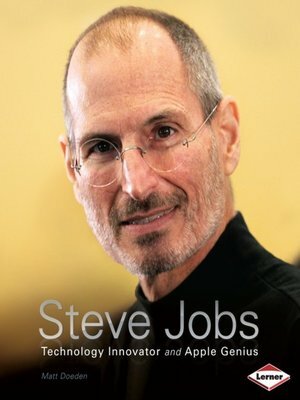 Jobs's forward-thinking engineering also influenced pop culture, bringing us a music revolution with the iPod, the ultimate communication device with the iPhone, and some of the first computer-animated films through Pixar. Called by some "the da Vinci of our time," Jobs used his innovation and vision to help advance technology like no other. He lived his life following a simple premise: "The only way to be truly satisfied is to do what you believe is great work. And the only way to do great work is to love what you do."